The Norwegian Trekking Association (DNT) runs over 550 cabins all over Norway, giving you ample choice of decent, affordable accommodation on your hiking holiday. The serviced cabins provide breakfast and dinner, and you can pack your own lunch at the breakfast table. You will stay in rooms sleeping two to four or more. It is possible but not essential to book a bed in advance: there is always somewhere to sleep. The self-serviced cabins have cooking facilities and food stores that you can use and pay for according to a price list, which is available at the cabin. The unserviced cabins are more basic and do not serve food, although cooking facilities are available. To get a key for the unserviced cabins, you have to become a DNT member. All cabins have basic bed linen, but you should bring your own sheet or sleeping bag. At staffed lodges bed linen is available to rent. Joining an organised package tour means you get good company, access to local knowledge and information about safety. It is also convenient: DNT’s package tours for groups include transport from Oslo directly to the mountains, accommodation at staffed mountain lodges or self-serviced cabins and all meals. An experienced DNT tour leader is present throughout the trip. Walking maps of Norway are available from the DNT&apos;s website. 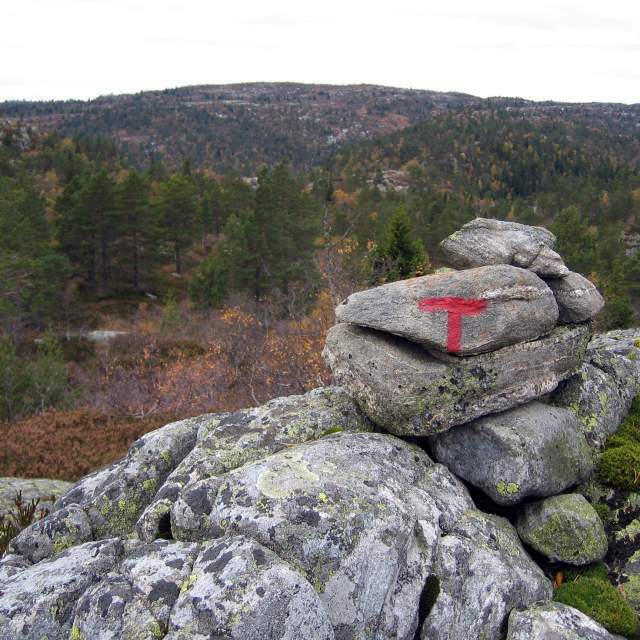 DNT’s hiking trails are marked with a red “T” on cairns and rocks and are clearly shown on the maps. You will find more information on DNT&apos;s website. There is also a handy online search function to help you find your DNT tour. Many DNT cabins are open throughout the year, but that does not mean that they are easily accessed throughout the year. Most serviced cabins open at the end of June and close in mid-September or October. The serviced cabins at Haukeliseter and Preikestolen (the Pulpit Rock) stay open all year. Membership is not compulsory but will give you a number of advantages. As a member, you get reduced rates at all DNT cabins as well as many privately owned mountain lodges and hotels and you get priority over non-members when beds are allocated in the cabins. Please also note that only members get the key for the unserviced DNT cabins. You can check current prices on DNT’s website.